This represents my first “color” lithograph. The original drawing was transferred to four aluminum litho plates and each plate was developed by drawing with litho crayon. Then the plates were processed, inked in cyan, magenta, yellow, and black (one color per plate) and printed. Quick and easy, the prints were Christmas gifts to family and friends in 1995. 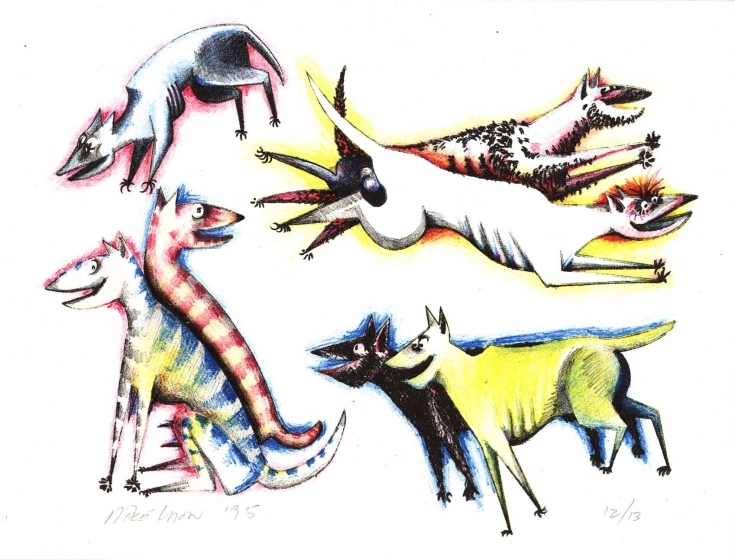 "Seven Doggies", 1995, four color lithograph, about 9" x 12"